RTStand is open HiL test and simulation platform, based on National Instruments technology, created to adapt to all testing needs. In cooperation with perisens GmbH, WKS Informatik developed a solution for Radar characterization. 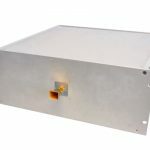 Integrating Radar Targer Simulators for 24 and 77 GHz and using National Instruments VST technology, RTStand RF Analysis enables indepth chirp analysis and characterization.